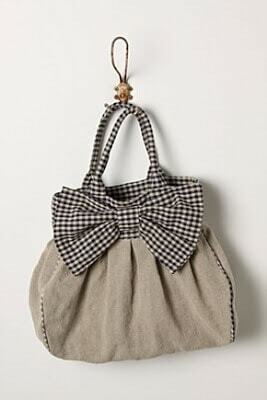 Let me introduce you to Snips and Spice who will teach you how to make a super cute knock-off purse today. Enjoy! Hi! I am so excited to be here on I Heart Naptime today! 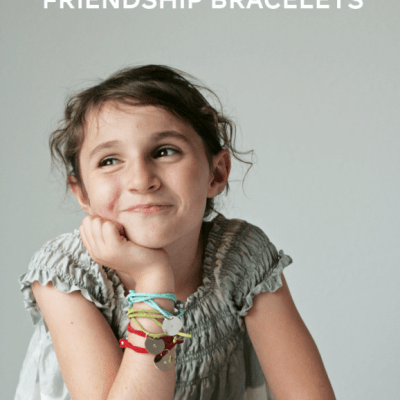 I love reading Jamielyn’s blog, and feel honored to be a guest poster. Now you’re ready to start sewing. 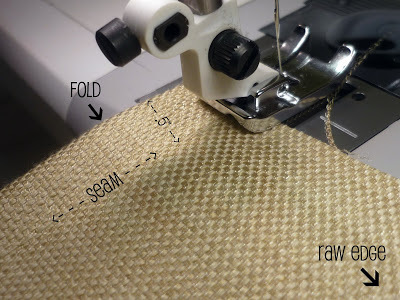 The first thing you will want to do is pleat your linen. 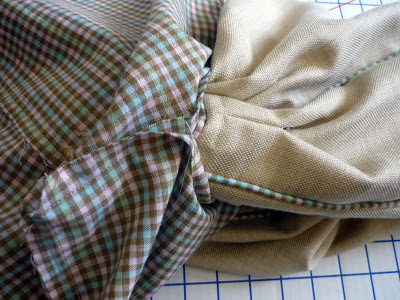 To make the front and back pleats, take the outside front and fold in half along the 15″ side. 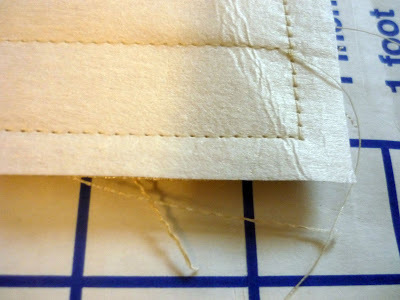 Set your stitch length to 4 or 5 and sew a line .5″ from the fold. You only need to sew it a few inches long. 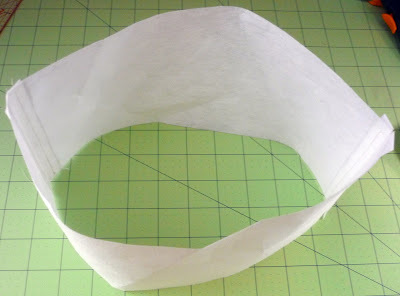 Measure 2″ from the first fold and make another fold. Sew another line at that fold. Repeat until you have five sewn folds. All the folds should be on the same side of the fabric. Repeat for the outside back piece. For the sides, you will sew only one pleat. 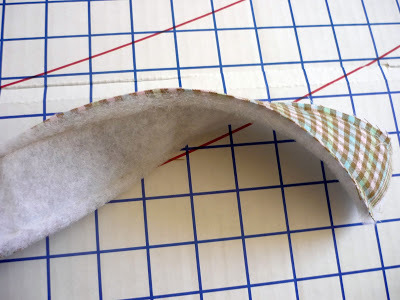 Sew a line 1.5″ from the fold. Set your stitch length back to 2.5. Sew the two pieces of stabilizer to the outside bottom (I found it easier to sew the two pieces of stabilizer together first, then sew them to the bottom). 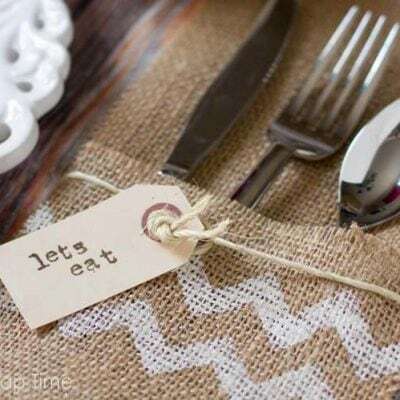 Sew .25″ from edge. 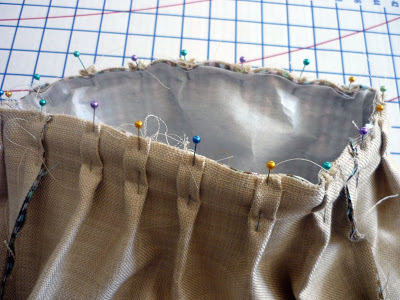 Using a .5″ seam allowance, sew the front and back to the bottom. 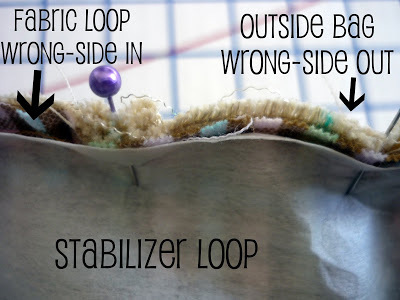 You want the stabilizer on the outside while you sew as well as the loops you made for pleats (they are on the opposite edge from the seam). 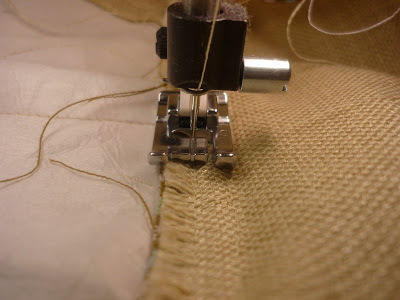 Then sew the seam flat to the bottom, sewing .25″ from original seam. 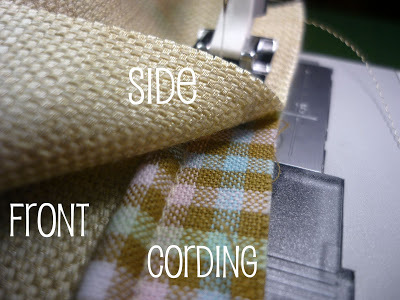 Before you sew in the sides, you need to cover your cording. Fold the fabric in half around the cord. 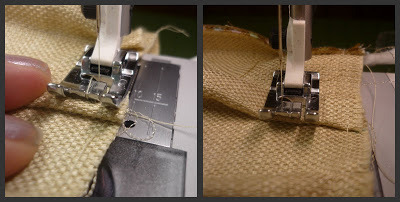 Use a zipper foot, or a cord foot to sew the fabric around the cord. You want your seam to be as close as possible to the cord itself. I used a cord foot, which was super easy! 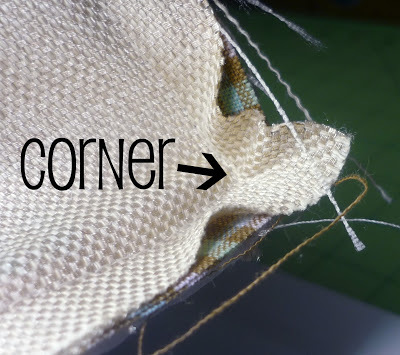 Now sew your sides to the back, front, and bottom of bag with the cording in the seam. Sandwich the cording between the front of the bag and one of the sides. 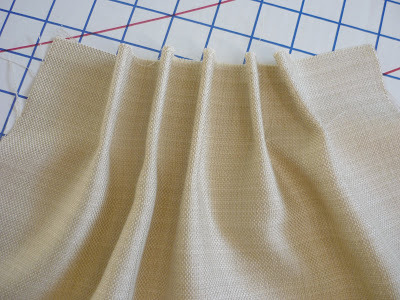 The loops for your pleats should be facing down for the front, and up for the side. 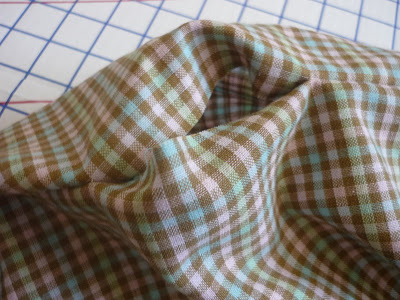 Sew together using a .5″ seam allowance. 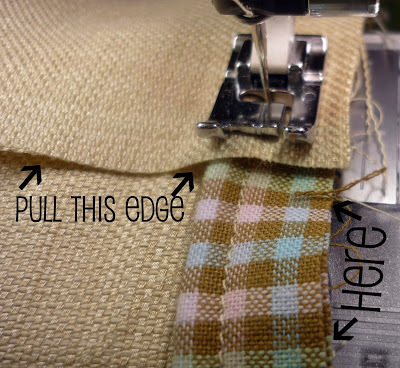 When you get to the seam for the bottom, lower your needle into the fabric, lift your presser foot, and pull the top fabric only to match the new edge. Continue sewing bottom and repeat turn for last corner. Repeat for the other side, and trim the tip off the corners, so they aren’t as bulky. 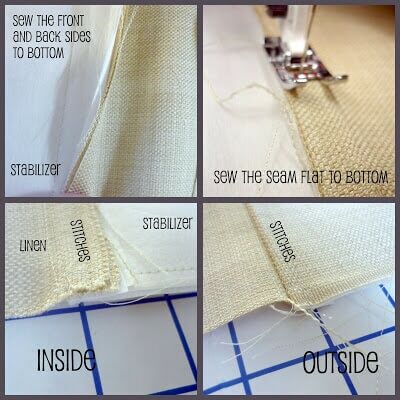 Fold the seam flat to the bottom and stitch as you did the front and back seams. Your bag should start to look like a bag. Let’s make those pleats look like actual pleats (not loops). 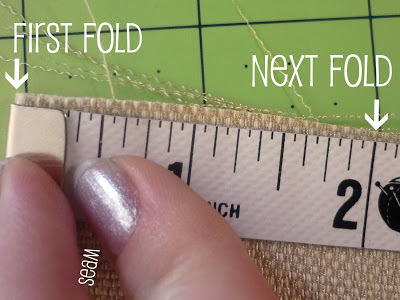 Use your fingers to press the loops flat as you sew a .25″ seam around the top of the bag. The center of each fold should match up to the seam of each pleat. 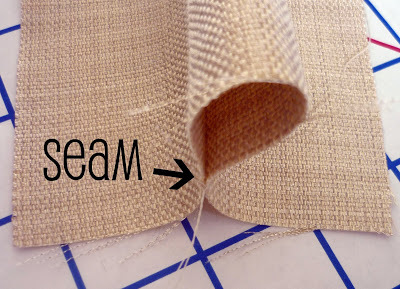 Then change your stitch length to 4 and repeat about 1″ further in from original seam. You are almost finished with the outside of the bag. 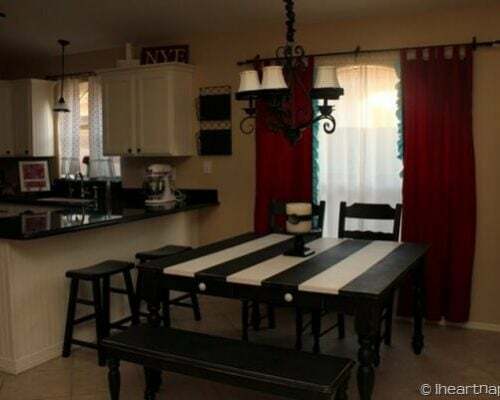 The final part for the outside is to add the top accent fabric. Change your stitch length back to 2.5 and sew two of the top pieces together on both short sides with a .5″ seam allowance. You should now have a loop of fabric. Repeat for the stabilizer. I sewed the seam open and flat on the stabilizer to make it easier to work with in the bag. Pin the stabilizer, accent loop, and outside bag together (all of your right sides should be facing in). 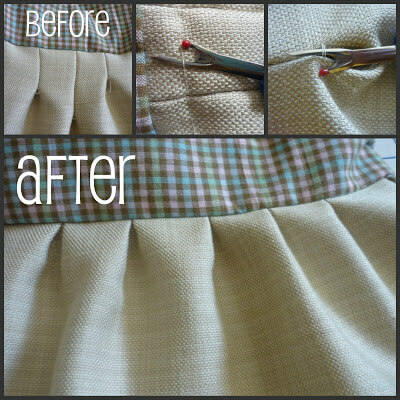 Line up the side seams with the center of your side pleat. Then, use a .5″ seam allowance to sew all layers together. You will repeat these same steps for the lining of the bag. 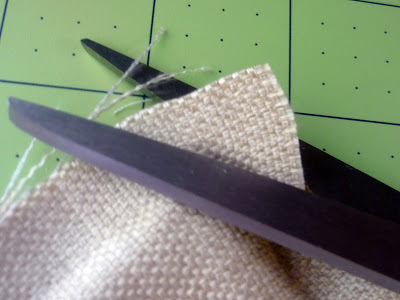 The only differences are that the lining does not use any stabilizer or cording, and you will leave about a 5″ gap in your seam on one side to pull the bag right-side-out. 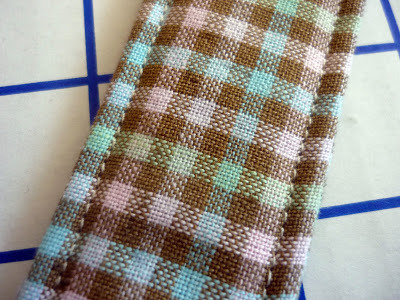 Before sewing the lining to the bag, you need to make the straps. Stack the batting (you could use stabilizer or extra fabric instead) on top of two layers of strap fabric (if you use fabric with right sides, put both right sides together). Sew along the long edges .25″ from edge. Turn the straps right side out, and sew along the edge as close as possible. Iron when you are done. 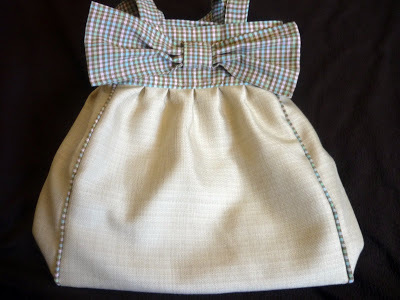 Turn the bag right side out, measure 3″ from the side seam, and pin the straps to the bag. Slide the lining over the outside bag with the lining facing right-side-in. 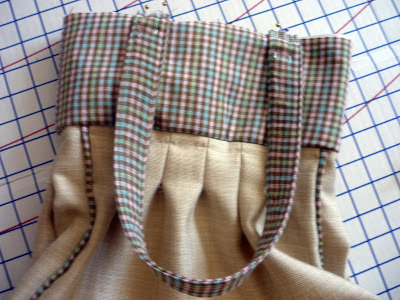 Pin the lining to the bag (make sure you get the straps pinned) matching the side seams. 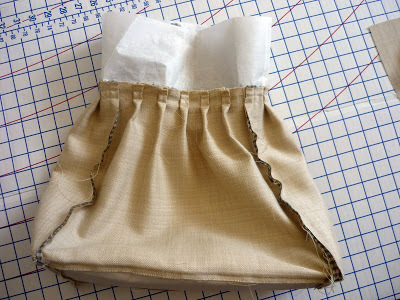 Again, use a .5″ seam allowance, sew the lining to the bag. Turn the bag right-side-out by pulling it through the gap you left in the lining. Sew the gap shut either by hand or machine. 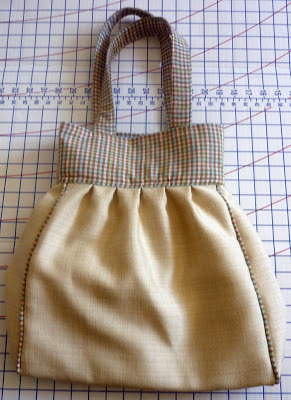 To finish the bag, pick out the pleat seams, and the stabilizing seam. 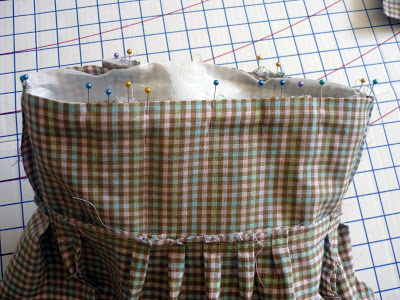 Then, you will sew around the top .25″ from the top edge, and again .25″ from the pleated edge. I adorned the top with a fabric bow, but you could use a flower or any other embellishment, or even leave it plain. Thanks so much for letting me share this project with you! 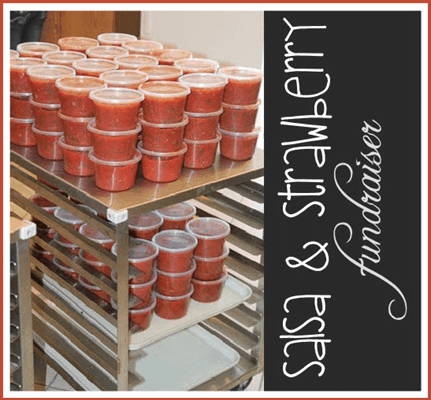 If you have any questions, please email (snips.spice@gmail.com) or visit me at Snips & Spice. I honestly think this is better than the Anthropology one! Much cuter, wonderful job!